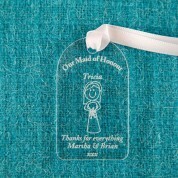 This tag would look very pretty sitting on the Maid of Honours table at her place. 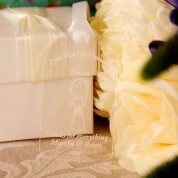 It could be tied around a napkin or on a centre piece display or even attached to a thank you gift. 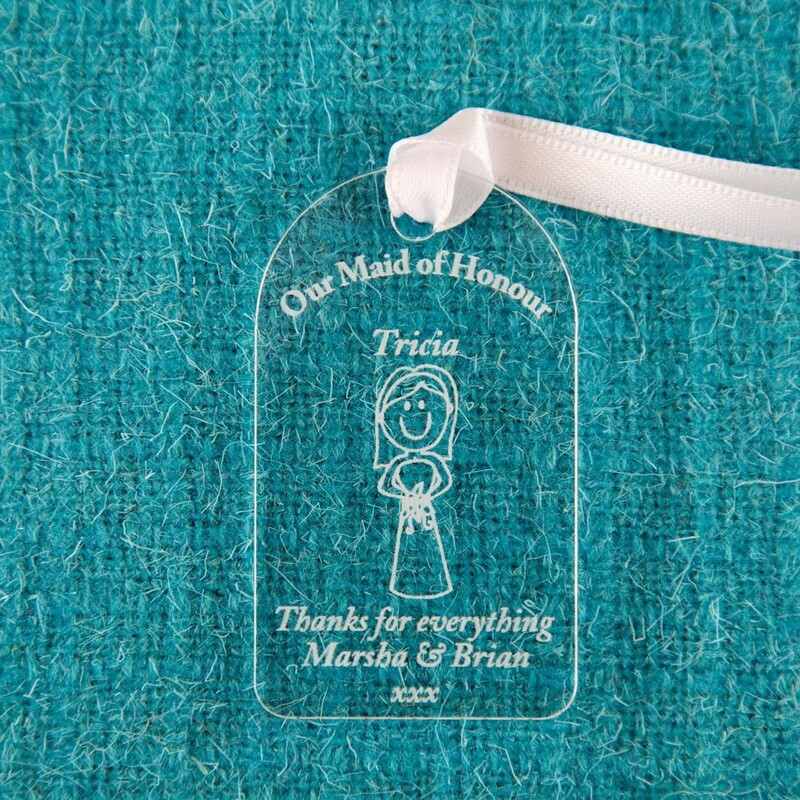 The Maid of Honour character engraved on the tag will make her smile and she want to hang it up on the wall in her home after the event has passed. This keepsake gift will tie in with any home décor and will look lovely tied to a door handle, window latch or hang up on the wall. 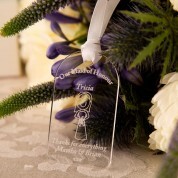 Material: clear acrylic Dimensions: approx 3.5cm x 6cm x 3mm thick.